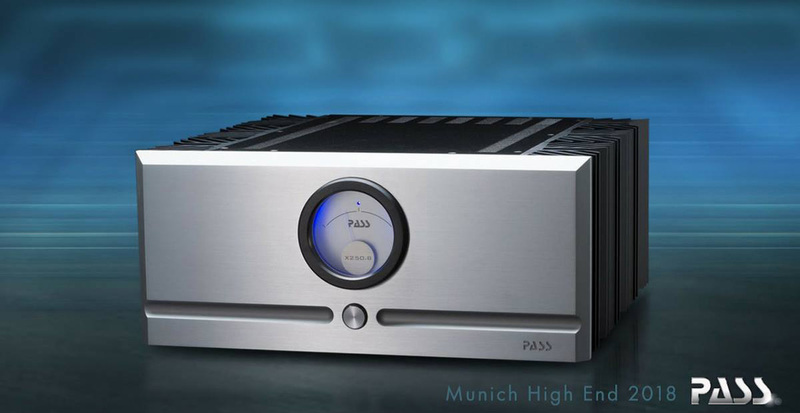 Pass Labs will introduce an integrated amplifier based on the phenomenal XA25 stereo amp we recently reviewed and awarded; have a non-remote single-ended stereo preamp and phono stage in the half-width casing of the existing HPA-1 headphone amp probably later this year; and already showed a new two-box fully balanced full-size preamp. 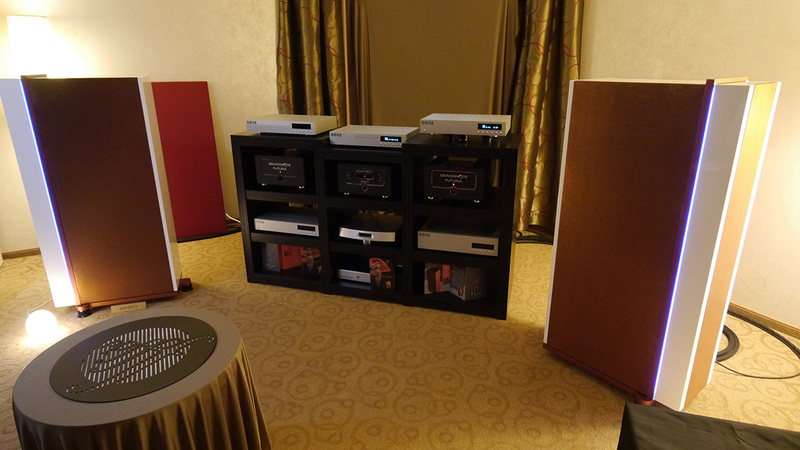 Not showing was Konstantinos Pilios of Pilium Audio. I met him in the Kaiser Acoustics room when Rainer Weber introduced him as the maker of his favourite solid-state gear. With such an endorsement, I couldn't help but sneak in a rendering of these Greek statement electronics whose new looks are a mix of Soulution with Alluxity displays. 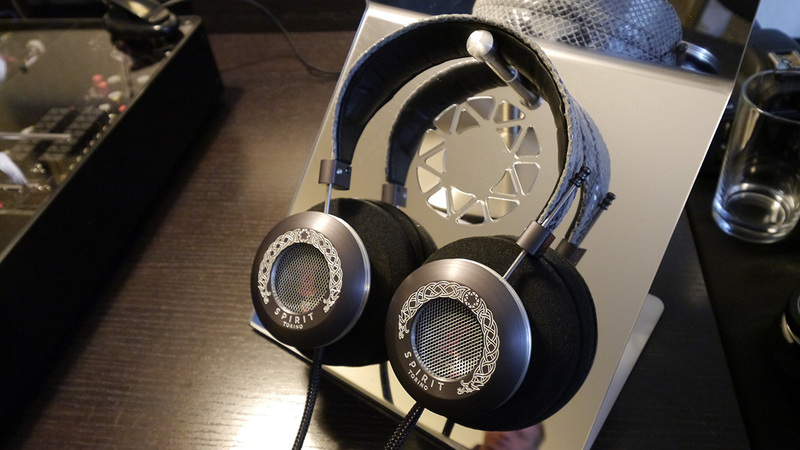 They're seriously heavy because their designer believes in stout invariable power supplies. So I may never be able to review these up close. Breaking my back for hifi isn't on my bumper sticker. 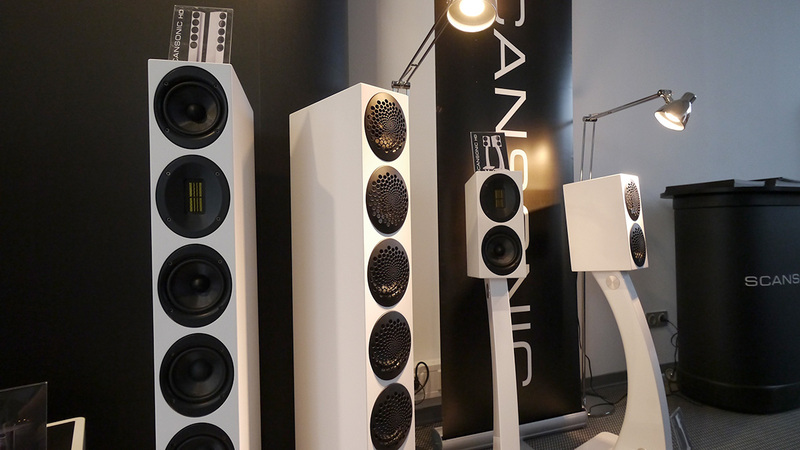 Ppfff speakers combine widebanders with augmentation woofers and rear bass horns behind their grilled facades. To Martin of soundkaos who happened to take a seat whilst I was talking to the designer, this was the best sound he'd heard in Munich this year. Being competitors didn't factor at all and the French designer openly answered Martin's tech questions. I was equally impressed and a review/exposé is forthcoming. As for more Swiss speakers, Martin is hard at work on a custom wood-cone Enviée driver and very shallow woofers to put into his forthcoming Vox 2 monitor. 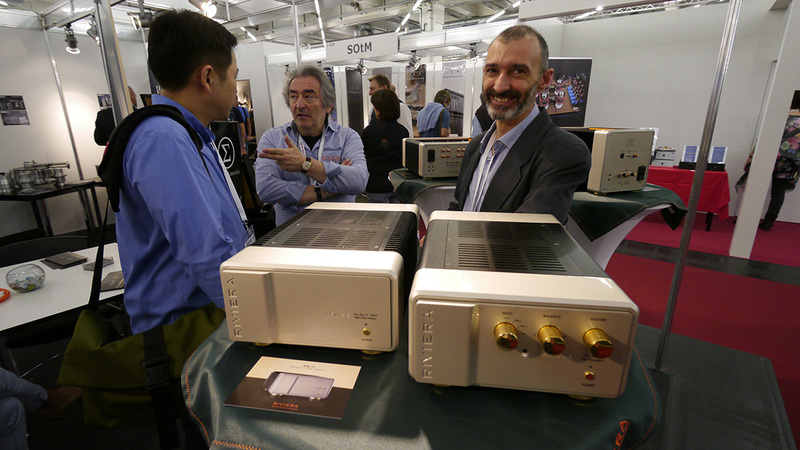 Here are Riviera Audio Labs' new 25-watt Class A hybrid monos, with designer Luca Chiomenti at right giving us a photogenic grin whilst colleague Silvio pays more attention to answering a visitor's questions just as he should have. 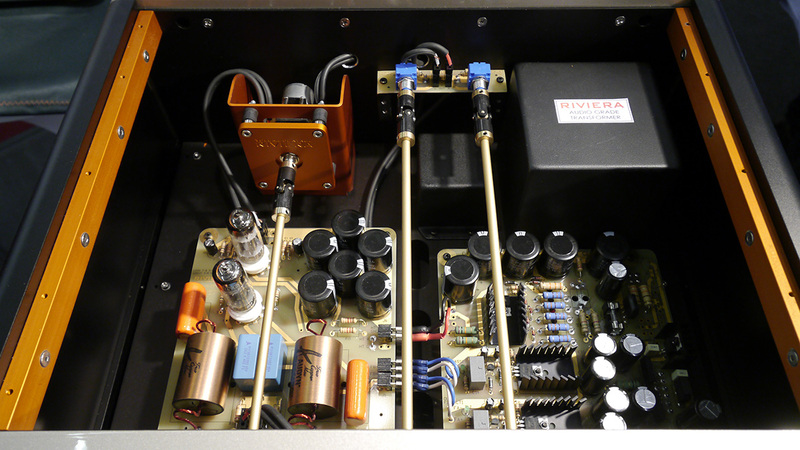 The guts & glory of their full-size preamp. ... fun lacquers where a proper flash would have counteracted outside glare. But lemon green isn't a hue one tends to see so kudos to these Danes for living it up. 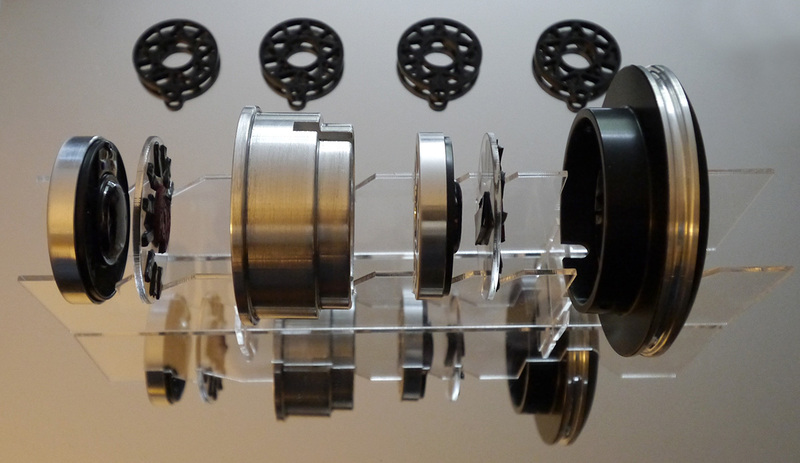 Being the poorer cousins to Raidho, Scansonic models use similar tech for less. That deserved some exposure even if imperfect. I offered some review coverage to sales director Rune Skov, he of the cool hair cut. 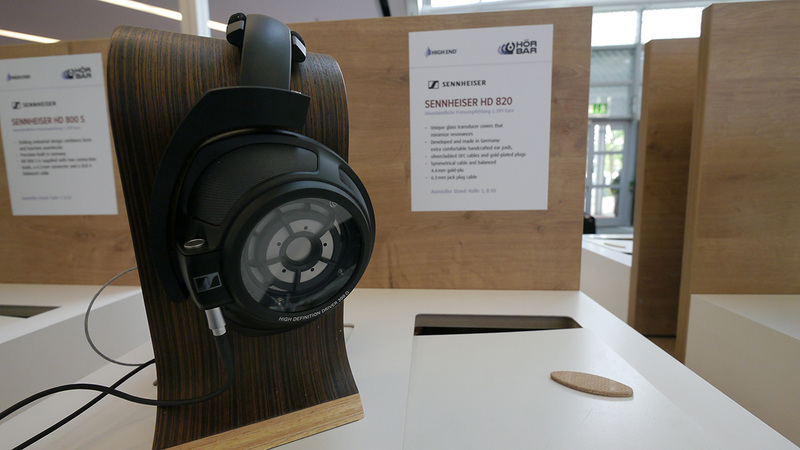 Sennheiser brought their new HD820 with glass covers to go sealed alignment. 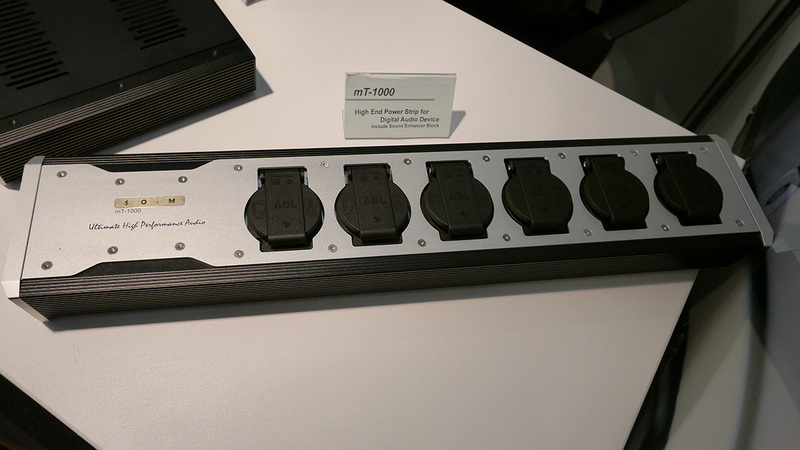 ... this mT-1000 power strip specialized for digital devices. 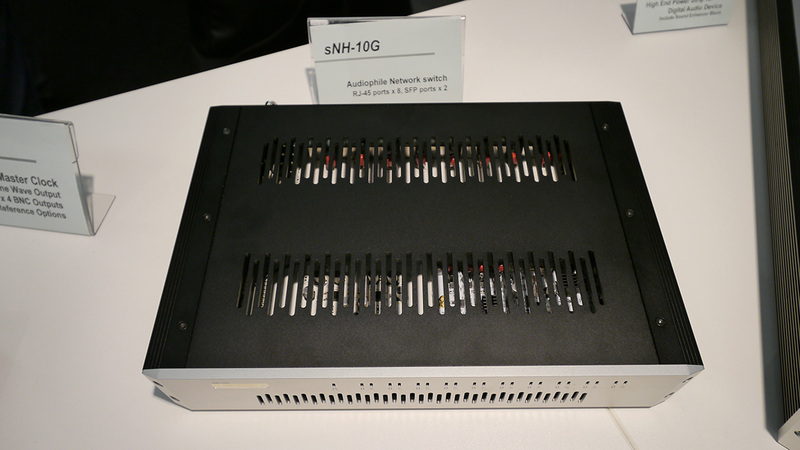 They also previewed various cables with built-in filter modules. ... open-backed isobaric designs three models deep which put two drivers per channel behind each other. Being Italian, they're also stylish to the core to come in various anodizing skins and headbands of snake skin or other exotica. A balanced wire harness is standard and delivery will be in the below case. The Jane speakers from Stark Audio were another looker. Hadn't it been for a team which started their champagne party too early, I'd have learnt a bit more. 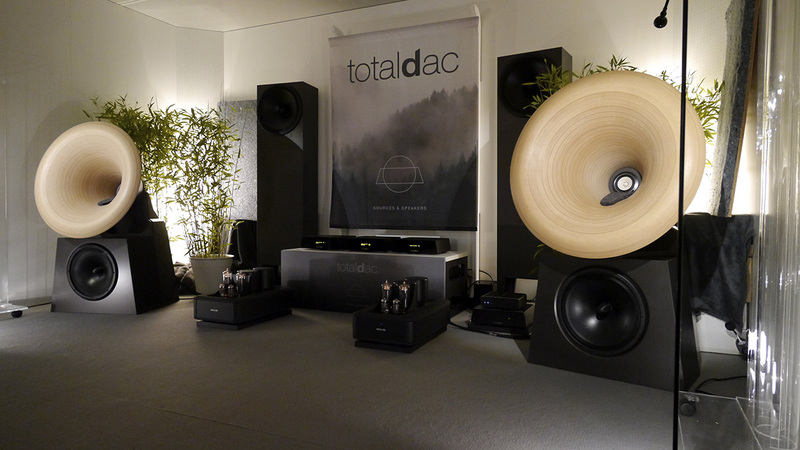 Like Æquo and AudioNec, TotalDAC had secured one of the few ground-floor super cabins to make very good sound with Absolare monos. On flavour, the Analog Domain designer's private system had been very visceral and gripping. Vincent Brient's transplanted from France for the occasion was ultra spacious and elegant. Anyone who declares an absolute sound hasn't yet lived long enough. There are many lenses of perspectives or moods to experience playback through. Premium executions of these are all equally valid. This was one of those. NuPrime, the house brand of the Chinese OEM/ODM firm who first built NuForce product, was said to launch their new Evo flagship monos with 1Mohm input impedance. 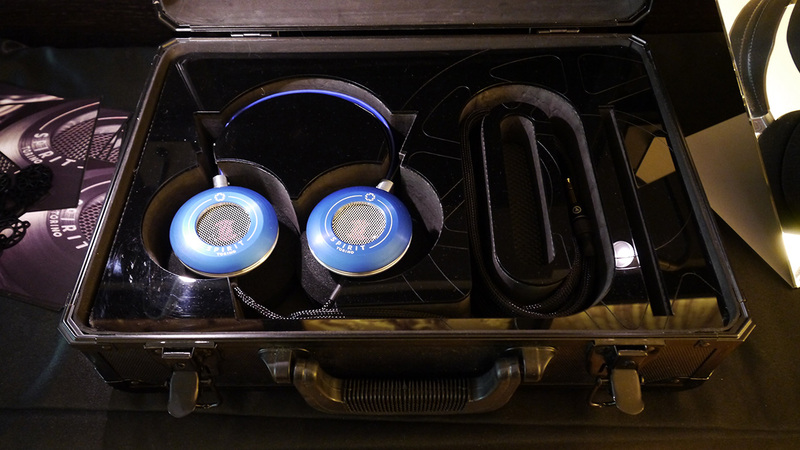 CEO 'Jason' Lim who conceptualizes their gear before a nameless "genius designer" in the team executes it to then be voiced with Lim's help, had a single amp still in its cardbox box when I talked to him in one of the halls. 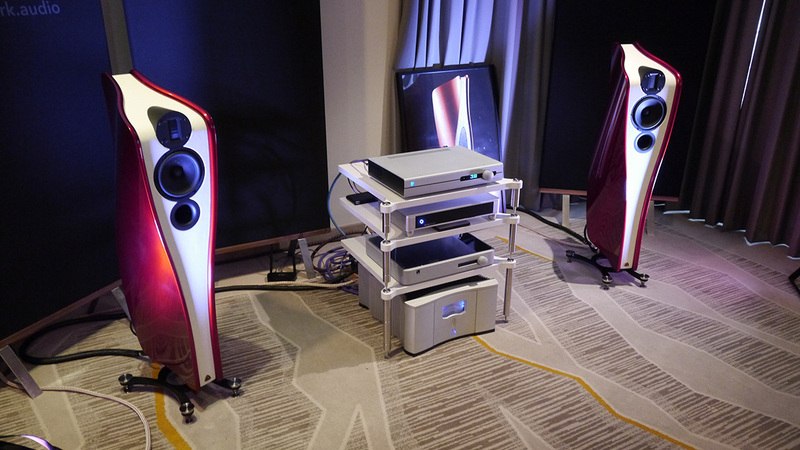 An industry acquaintance and owner of their small stereo amps which can be bridged to mono told me that they have replaced his hot-running valve amp during the summer months to drive big Mårten Design speakers; and that sonically, he wasn't missing his far costlier valve amp. If the Evos crush their little stereo brother as they should, one would expect truly great things from them. Sadly Munich wasn't yet the place or time to hear or see them. 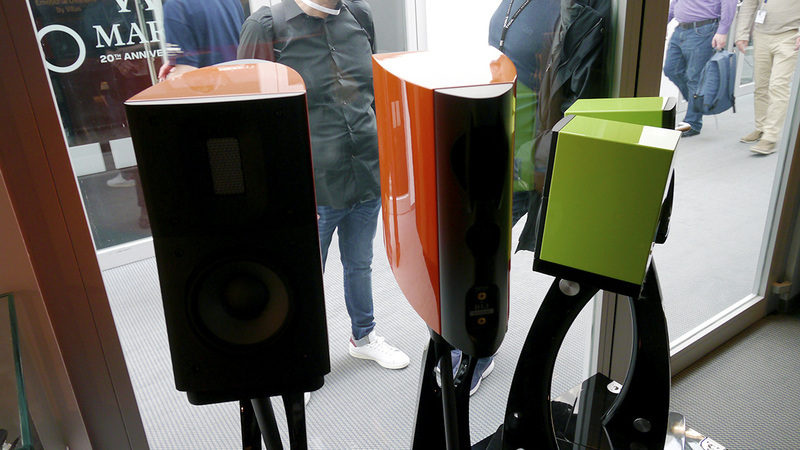 I forgot to ask whether they'll be styled like the discontinued Reference 20 at left.